Dadush, D.N. (2012, August). 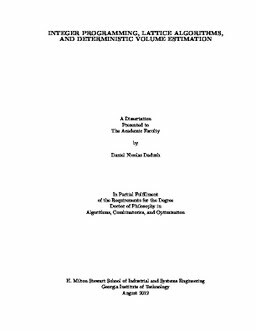 Integer programming, lattice algorithms, and deterministic volume estimation.